Automakers certainly know that they need to introduce better cars, but they cannot really force dealers to decide not to charge extra for some of the hot models that are out in the market. The all new Dodge Challenger SRT Hellcat has gained lot of attention and publicity and this is why dealers are trying to make money as they understand that the car is in demand. Most of the dealers are now trying to make good money from this demand and they are selling out the vehicle for $150,000 on top of its sticker price. On the other hand, there are some dealers that are also asking for a higher price as it includes certain market adjustment and that means that the price of the vehicle would rise to $212,175 which is virtually twice the price of Dodge Viper SRT. Normally, Dodge executives claim that the price of the vehicle would be around $59,000, but considering the demand and some market adjustments the prices would move up. 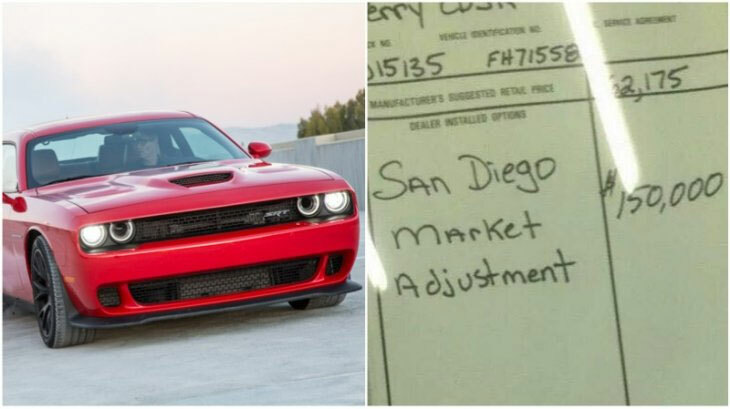 Many Dodge experts also claim that this vehicle is not a limited edition vehicle and that the price depreciation will happen as more and more Hellcat SRT will be launched in the market and it becomes common.